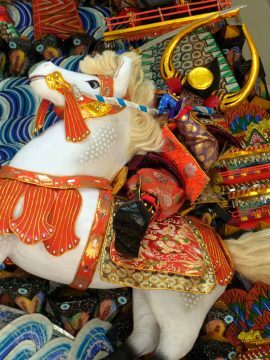 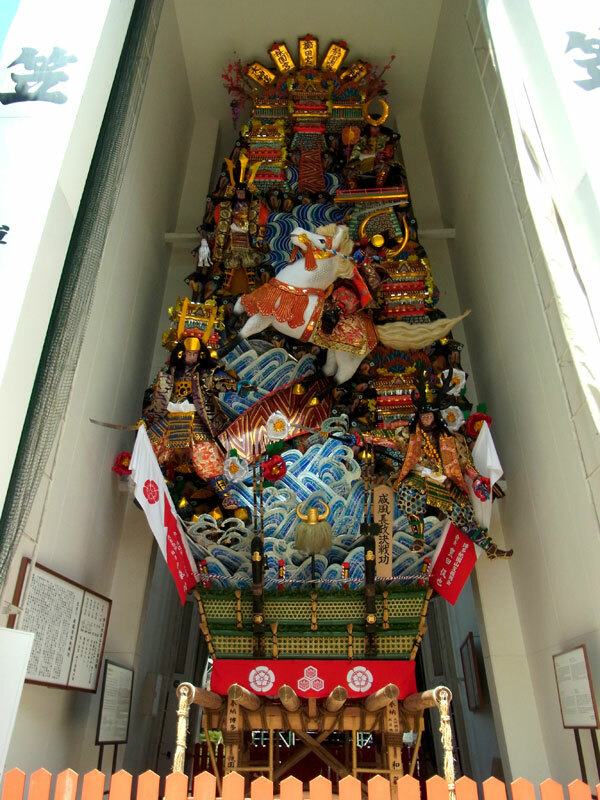 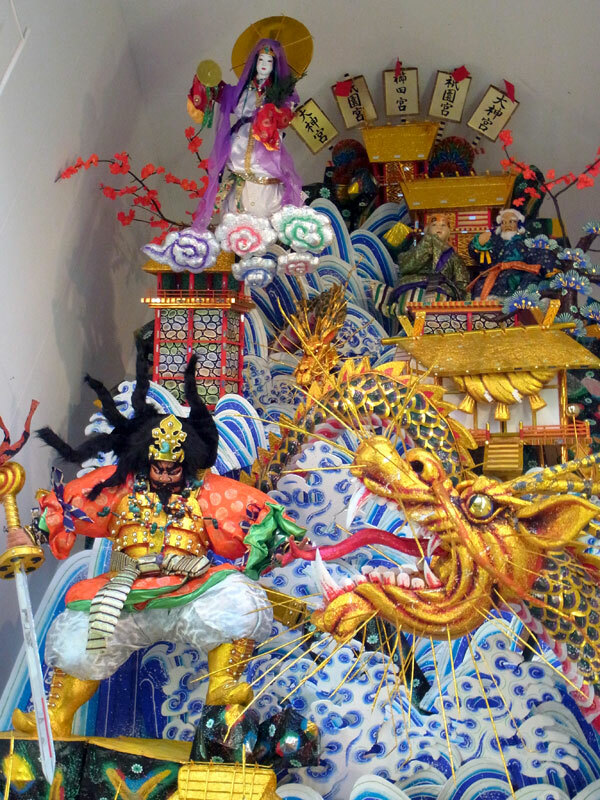 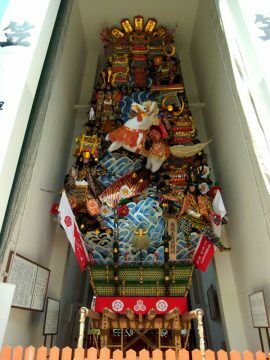 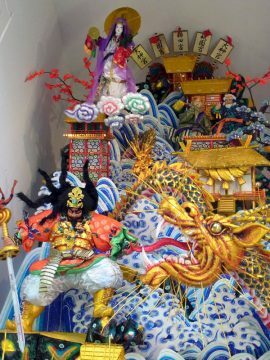 This special Kazariyama is on display all year round and is built by the Kushida-shrine in order to show tourists what a Kazariyama looks like. 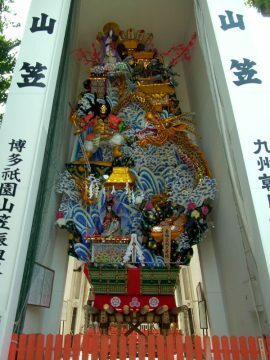 It is not actally a part of the festivities, which is why it has no number. 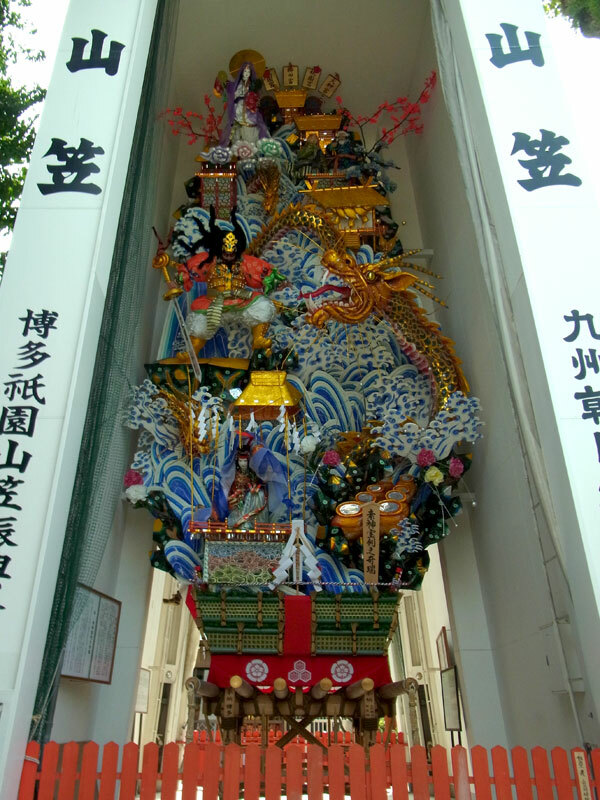 This Kazariyama has been built with the help of KBC and the Yamakasa Promotion Association.